AG’s decision is legal bombshell ahead of April 9 elections, marks first time in Israel’s history that serving PM is told he faces criminal charges; premier to speak at 8 p.m. In Case 4000, the Bezeq case, Mandelblit alleged that in return for the illicit benefit of skewed media coverage on the Walla site, “Mr. Netanyahu used his power and authority as a senior public servant to advance issues related to [Bezeq majority shareholder] Mr. Elovitch’s business and his and the Bezeq group’s economic interests, including by instructing officials who reported to him to act in a radical departure from the norm.” The prime minister’s actions, wrote Mandeblit, “”were carried out amid a conflict of interests, the weighing of outside considerations relating to his own and his family’s interests, and involved the corrupting of the public servants reporting to him.” Elovitch’s benefited from Netanyahu’s interventions, alleges Mandelblit, to the tune of some NIS 1.8 billion ($500 million). Mandelblit said he would not pursue legal action against Netanyahu’s wife Sara and son Yair, who had also been suspects in the cases. Responding to the decision, Netanyahu’s Likud party continued to insist that “there is nothing” to the cases against the premier. It accused “the media and the left” of pressuring the attorney general into the decision. “No one is surprised by the announcement,” the party said. Netanyahu was set to give a statement to the media on the decision at 8 p.m. The prime minister is currently seeking reelection in the April 9 elections against an opposition invigorated by the entry into politics of ex-IDF chief of staff Benny Gantz. 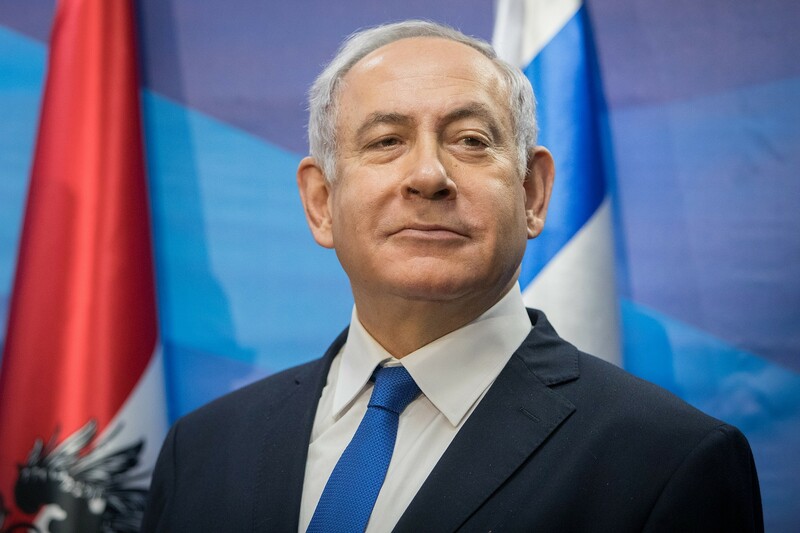 Thursday’s announcement of the intention to indict the prime minister — who long argued that the decision should be postponed until after the vote so that it would not affect public opinion — places Netanyahu’s legal situation front and center in the campaign. The decision to press charges, pending a hearing, in the criminal investigations against Netanyahu could have a game-changing impact on the elections, a Times of Israel poll published earlier Thursday showed. The ruling Likud party could lose both a significant chunk of support, as well as its ability to form a coalition after the vote, the survey, published overnight Wednesday-Thursday, indicated. Netanyahu can request a hearing to contest the planned indictment, in a process that could take up to a year, during which time he is not legally obliged to step down. Israeli law only requires that a prime minister step down if convicted, but experts have suggested that Netanyahu could have a “problem” if he seeks to stay in office after a formal indictment is filed at the completion of a hearing process. Under law and High Court of Justice precedent, ministers other than the prime minister are required to step down in such a situation. There is no clear legal rule regarding the prime minister. Thursday’s announcement came after a last-ditch attempt to prevent Mandelblit from announcing the charges. Netanyahu’s Likud party filed a petition with the High Court of Justice Thursday morning, seeking to stop the attorney general from publishing his decision, but the court rejected the plea on Thursday afternoon. Mandelblit, in his decision, wrote that according to suspicions “You damaged the image of public service and the public’s trust in it, in that while serving in public positions, and formost as prime minister, you maintained for years an inappropriate relationship with Milchan and Packer. “This included receiving “benefits connected to your public positions” totaling over NIS 700,000 and acting “in favor of businessman Milchan while in a severe confliuct of interest. In Case 2000, involving accusations Netanyahu agreed with Yedioth Ahronoth newspaper publisher Arnon Mozes to weaken a rival daily in return for more favorable coverage from Yedioth, Mandelblit will seek to charge the premier with fraud and breach of trust, while Mozes will be charged with bribery. The case is said to have been a contentious one in Mandelblit’s office, with many prosecution officials reportedly arguing that Netanyahu should be charged with bribery, while Mandelblit considered not charging the prime minister at all. Mandelblit said that according to suspicions Netanyahu and Mozes “recognized that the one had the ability to promote the other’s interest” in the run up to the 2015 elections and discussed such possibilities. 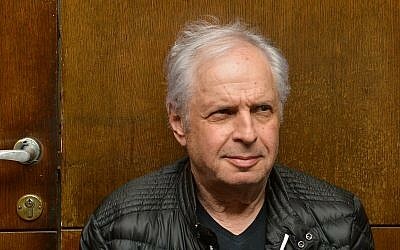 Mandelblit said that according to suspicions the relationship between Netanyahu and Elovitch was “based on give and take,” and the prime minister’s actions benefiting Elovitch netted the businessman at least NIS 1.8 billion ($500 million) between 2012-2017. In exchange, Elovitch’s Walla news site “published your political messages that you wished to convey to the public. Mandelblit’s decision broke with the conclusions of State Prosecutor Shai Nitzan in several instances, by opting to press lesser charges against some of the suspects, or to drop charges all together. Netanyahu has denied any wrongdoing in all three cases, and has alleged that the investigations against him are a “witch hunt” involving the left, the media and the police relentlessly pressuring a “weak” attorney general. After being notified of an impending indictment, suspects are usually provided with the full case materials against them. 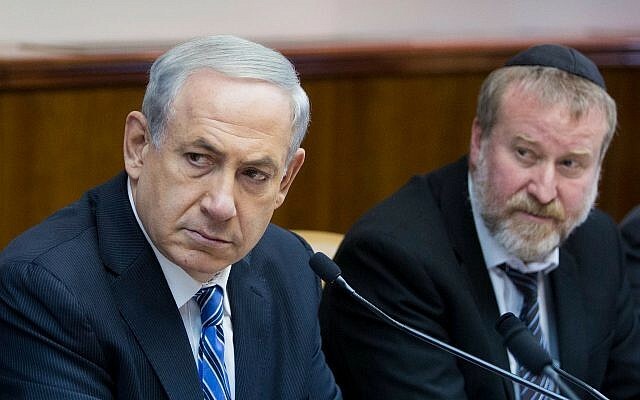 However, according to Justice Ministry sources, Netanyahu’s defense team asked that case files be withheld until after the April 9 elections, reasoning they could be used for political purposes and campaign propaganda. On Sunday, the State Comptroller’s Permits Committee rejected for the second time a request by Netanyahu to fund his legal defense in the three cases via payments from wealthy associates, including his cousin. Ehud Olmert, the country’s first former premier to serve prison time, stepped down from office in 2008 during the investigation into him, but before the intention to file charges was announced. He served 16 months in prison on corruption offenses and was released in July 2017.